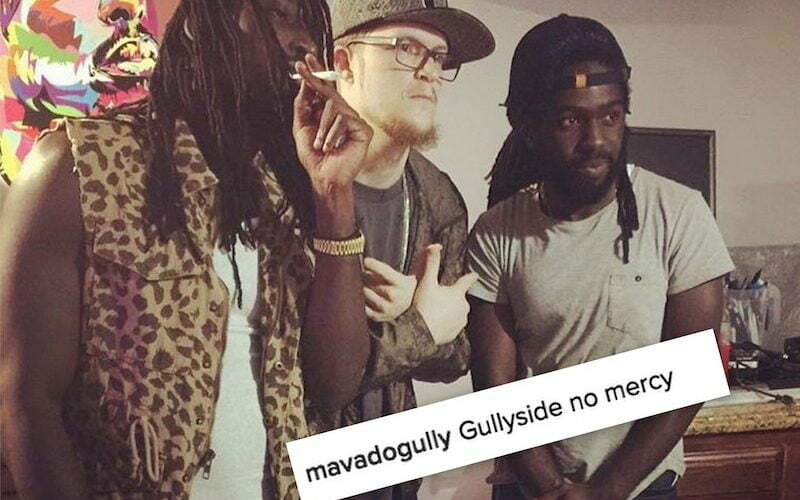 Mavado hit the studio with Stephen ‘Di Genius’ McGregor and Justus Arison of JA Productions signalling that more Vybz Kartel diss tracks are on the way. Over the weekend, Mavado released a new Kartel diss track “Mr. Dead” that was produced by Di Genius, who also had a big fallout out with the incarcerated deejay a few years back. Genius has also produced a number of hits for Vado over his career including “Nine lives”, “Come Round” and “Can’t Take We Life” where the two collaborated. Mavado also announced that he is heading on tour in the U.S. signalling that there could be a pause on his new beef with his longtime nemesis. “Tour time get back to the money bless up the Gullyside fans,” Vado wrote in the caption of a photo of himself with Fabolous.